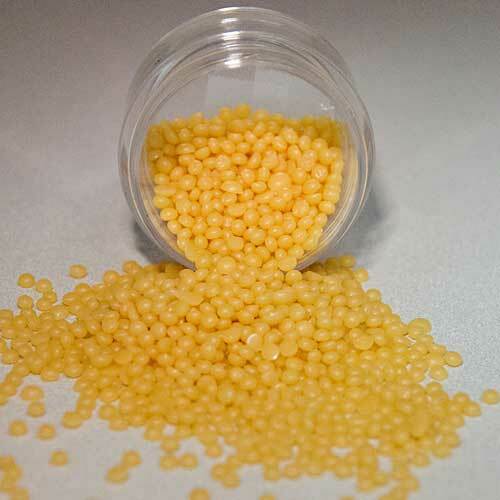 Acid-Free Candelilla is highly compatible, inhibits crystallization and acts as a gellant. In addition, it provides water repellent, moisturizing and film forming properties. Candelilla wax comes from an indigenous shrub, Euphorbia Cerifera, in northern Mexico. The natural wax protects the plant against the environment and prevents excessive evaporation. Koster Keunen formulates this wax by reducing the Candellia free acids by using vegetable based cetearyl alcohol to create a more amorphous wax with less crystallinity. This reduction in acid value, through the formation of esters, lowers the potential for interaction with other cosmetic raw materials. Formulators use Acid-Free Candelilla in skin care products, lipsticks, lip balms, leather dressings, polishes, varnishes, sealing waxes, insulating compositions, rubber waterproofing, soft wax stiffeners, lubricants and adhesives.